This Germany-based Tanzanian comedian returns to our shores with a brand-new show featuring brand-new material! This Germany-based Tanzanian comedian returns to our shores with a brand-new show featuring brand-new material. Malaysian indie film buffs may remember Captain Khalid from the award-winning “Lelaki Harapan Dunia” (2014), while stand-up comedy fans may recall his Internet feature “Malaysia Mischief” which went viral. 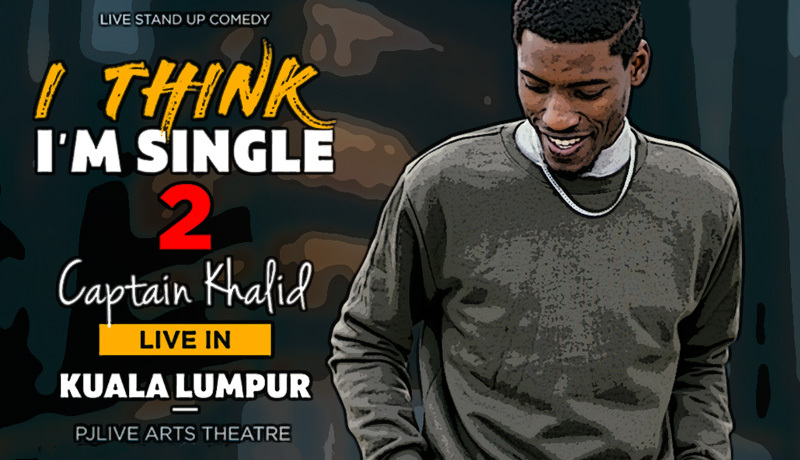 After a successful run with his sold-out solo show “I Think I am Single” and recent tour with the Story Party group, Captain Khalid is bound to charm audiences once again with his no-holds-barred storytelling and witty delivery. Parental Advisory: Mature audiences only.